The celebrated singer, once described by Quincy Jones as having the sound of “honey at dusk,” died Thursday, March 10, in the Seattle area. She was 87. 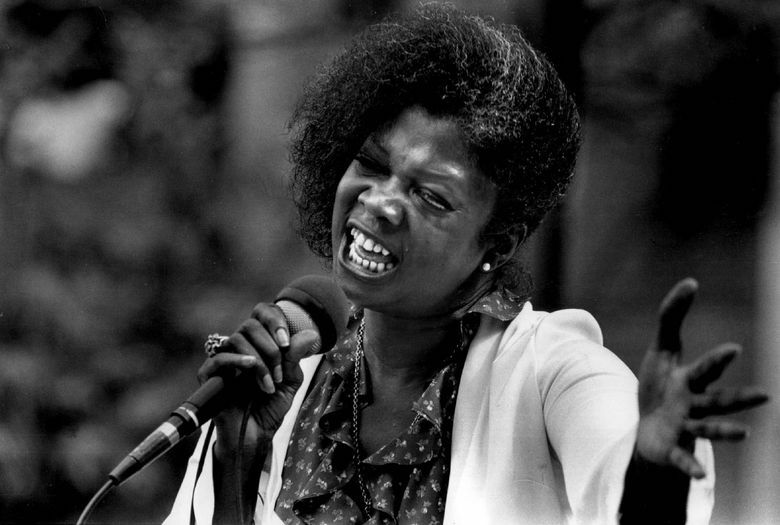 Ernestine Anderson, the internationally renowned and much-loved Seattle jazz vocalist with a voice once described by her childhood friend Quincy Jones as the sound of “honey at dusk,” died Thursday, March 10. Ms. Anderson was 87. Vivian Phillips, a family friend, reported that the singer passed away “peacefully, surrounded by her family.” Ms. Anderson had resided since 2011 at the Northhaven retirement community and Shoreline Rehab. In 2002, Seattle’s Bumbershoot arts festival awarded Ms. Anderson its Golden Umbrella, an honor that evolved into the Mayor’s Arts Awards. And in 2012, the Low Income Housing Institute named one of its projects Ernestine Anderson Place. Born in Houston in 1928 to a construction worker and homemaker, Ms. Anderson began singing in church when she was 3 years old. At age 12, she won a talent contest at Houston’s Eldorado Ballroom and for four months afterward, sang there once a week. In 1944, with war work beckoning many, Ms. Anderson’s father decided to move to the West Coast. Afraid that his daughter’s grades were slipping and that the jazz life was fraught with temptation, he chose Seattle because a family friend told him it was a sleepy town with no nightlife. 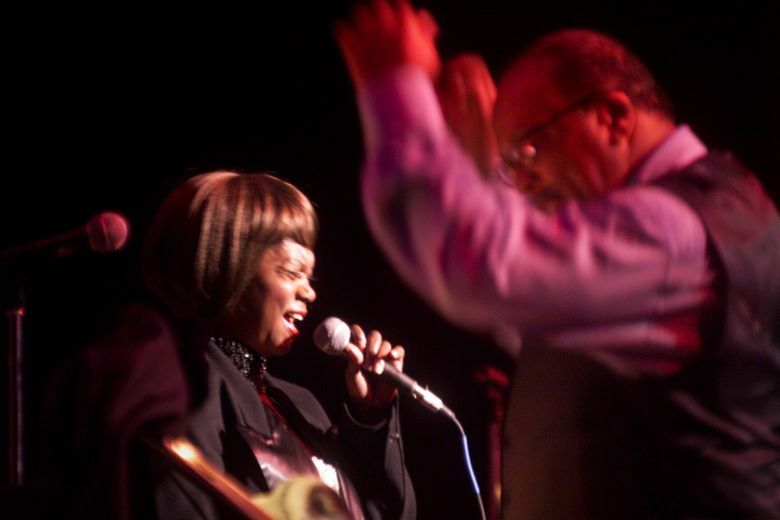 To the contrary, Seattle’s Jackson Street was musically on fire, and Ms. Anderson, who entered Garfield High School that year, soon found herself singing with the Bumps Blackwell Junior Band, featuring Jones, saxophonist (and later bassist) Buddy Catlett and others. By 1946, Ms. Anderson was headlining her own breakfast show at the 411 Club, an International District after-hours joint on Maynard Avenue. The following year, Ms. Anderson dropped out of school to join Los Angeles R&B bandleader Johnny Otis’ band and spent most of the next year on the road with Otis. In 1948, Otis disbanded in Los Angeles, where Ms. Anderson remained, recording her first single, “K.C. Lover/Good Lovin’ Babe,” for the Black & White label, and also marrying for the first time. In 1952, Ms. Anderson was back in Seattle, where she auditioned for swing bandleader Lionel Hampton at the home of Georgia Kemp, a jazz patron who had been Ray Charles’ landlord when he lived in Seattle. 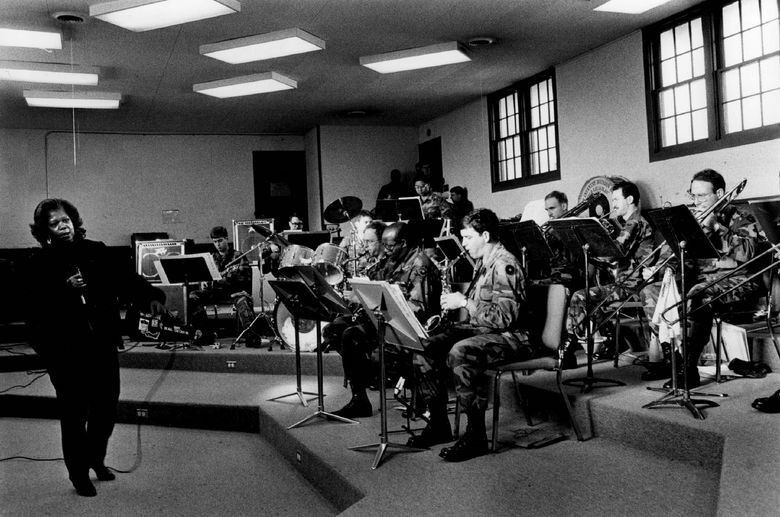 Ms. Anderson went on the road with Hampton for 15 months, including a performance at the presidential inauguration of Dwight D. Eisenhower. In New York, Ms. Anderson recorded with Jones, Russell Jacquet, tenor saxophonist Clifford “King” Solomon and others, and also worked at the Page Three, a gay nightclub where other up-and-coming singers such as Sheila Jordan were trying to gain exposure. In 1955, she appeared on two tracks of an album by alto saxophonist Gigi Gryce, “Nica’s Dream,” which also featured trumpeter Art Farmer, with whom she later lived for several years. Frustrated by her slow career growth in New York, in 1956 Ms. Anderson accepted an offer from Swedish bandleader Rolf Ericson to tour Europe, which she said was the first place she ever “felt really free,” because of prejudice and segregation back home. In Europe, Ms. Anderson recorded an album with bandleader Harry Arnold for the Metronome label, which was eventually released by Mercury in 1958. 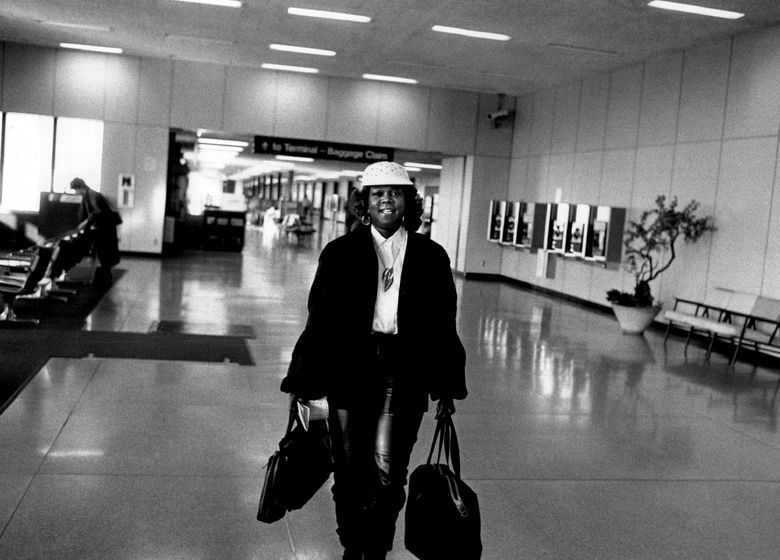 “Hot Cargo” netted Ms. Anderson rave write-ups in Time magazine and The New York Times, whose critic compared her to Ella Fitzgerald. The following year, she was toasted by the critics of the country’s leading jazz magazine, Down Beat, as a “new star” of the year. Ms. Anderson settled in Los Angeles in 1959, releasing six albums on Mercury, including the much-praised “Moanin’,” but as the ’60s rock revolution gathered steam, her career subsided. In 1964 she moved to London, where there was still a strong audience for jazz. But by 1966, discouraged with the music business, she returned to Seattle and retired from music, working as a hotel maid and at a telephone answering service. In 1968 she moved back to Los Angeles, and after returning to Seattle in 1973 she was coaxed back to performing by Seattle jazz critic Maggie Hawthorn. By 1976 she had signed with the Concord Jazz label. 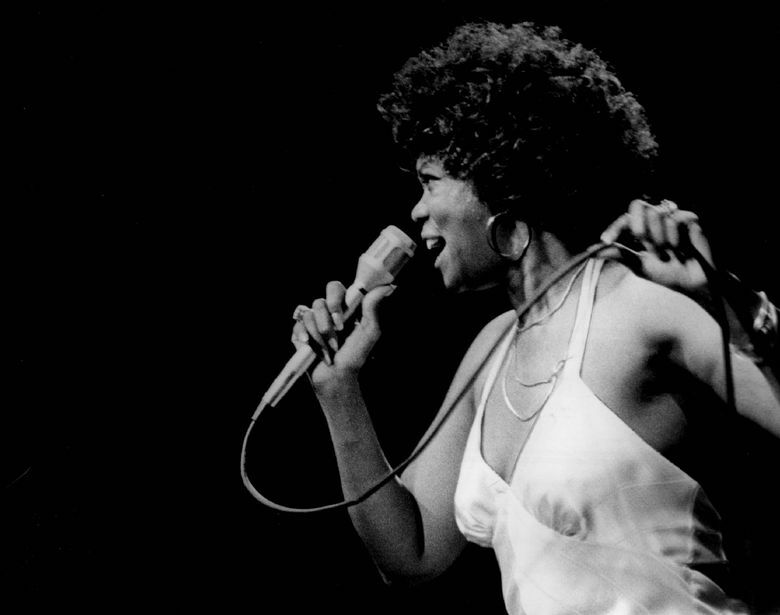 Ms. Anderson released “Hello, Like Before” in 1977 and followed it with more than a dozen albums over the next 15 years. A finger-popping blues song recorded by B.B. King, “Never Make Your Move Too Soon,” which she recorded on her Grammy-nominated 1981 album of the same name, became Ms. Anderson’s signature song. In 1993, Ms. Anderson was signed by Jones’ label, Qwest, which presented her in a soul-jazz mode, netting Grammy nominations and strong sales for “Now and Then” (1993) and “Blues, Dues & Love News” (1996). In 1998, Ms. Anderson was feted at Seattle’s Paramount Theatre for her 70th birthday. Unable to live any longer on her singing career, she refinanced the family home in the Central District and in 2008 found herself in danger of foreclosure. Jones and others stepped forward to save the home from repossession. 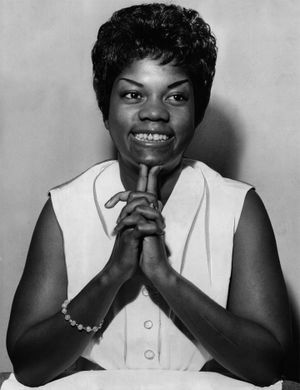 In 2015, the High Note label released a 1962 live recording from Seattle’s Penthouse nightclub, “Ernestine Anderson Swings the Penthouse” (HighNote), produced by jazz DJ Jim Wilke. The record was a reminder of how pure and moving Ms. Anderson’s voice had been in her early career. Ms. Anderson is survived by three children, eight grandchildren and four great-grandchildren.